Kim reached out to us this morning with a broken iPad screen. She is a teacher in Abu Dhabi who had the unfortunate luck of dropping her iPad 2 on the tile floor of her apartment. This was an accident of course and she made it clear that this was not a fun way to start out the day, especially as she needed her iPad to teach classes on this particular day. When she bent down to pick the iPad up, she knew right away that something was wrong. She could feel the broken glass coming off the device and scratching her fingers. 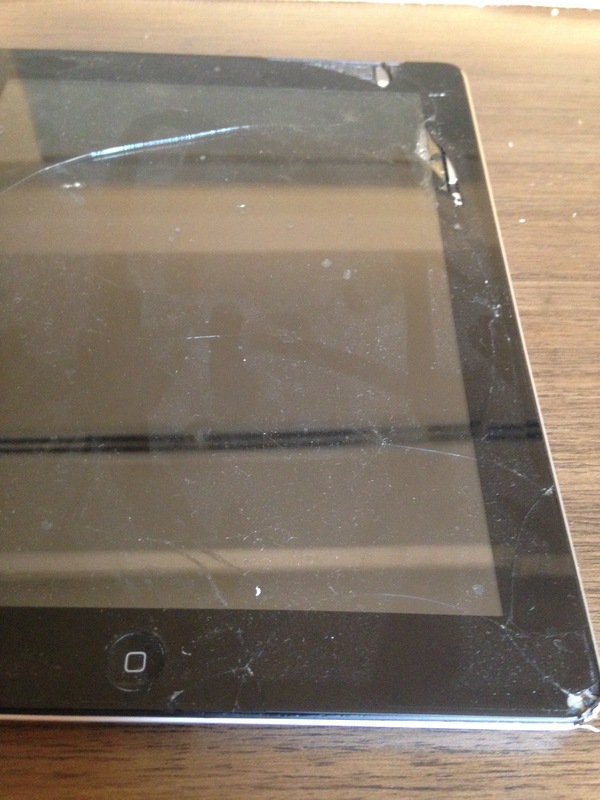 She flipped it over and saw her iPad had a cracked glass screen, much like a broken windshield. She was devastated, this was her baby. It was also a gift given to her by a very close friend a long time ago and she promised herself that she would keep it safe from harms way. After wiping away the tears, Kim began searching for ways to get her cracked iPad screen repaired in Abu Dhabi. Was this even possible? Did anyone even repair broken iPad screens in the UAE? Within a couple minutes, she stumbled upon www.iRepairUAE.com and liked what she saw. She filled out one of our repair forms and we got in touch with her about an hour later. She was still a bit in shock about what had occurred earlier that morning. She thought she was the only one in Abu Dhabi this had happened to and we could tell she was a big embarrassed. We assured her that this happens quite often and that we would be happy to help. We met her at her after school in the Khalidiyah area and had her iPad screen replaced and back to normal in under an hour. Alexa – where can I get my cracked iPhone fixed in Dubai? You can read about some of the unfortunate events that many of our clients have had to endure over the years. Broken and cracked screens on your Apple device are fixed in under an hour. You can read the stories in under our Past Repairs tab.